The victim, who Radio-Canada has identified as Ray Kahno, 42, is known to police for alleged links to organized crime. Quebec provincial police have taken over the investigation. A 42-year-old man has died in hospital after being shot in the head in Laval Wednesday night. The victim, who Radio-Canada has identified as Ray Kahno, is known to police for alleged links to organized crime. Quebec provincial police took over the investigation from Laval police Thursday morning. 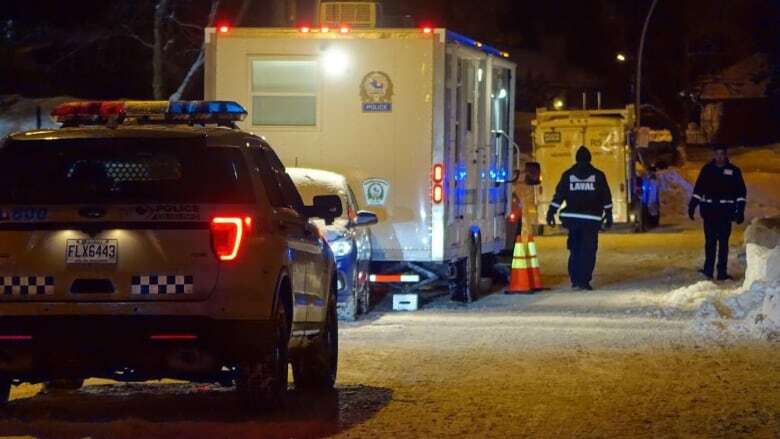 Laval police received a call just before midnight about a man on the ground at the corner of d'Edimbourg and Potier streets in the Vimont district. Kahno was rushed to hospital in critical condition. No arrests have been in connection with the shooting. Police have set up a command post on Potier Street to gather information that could lead them to the suspect. Investigators are on site to analyze the scene. This is the second shooting in Laval in less than a week. A man in his 30s died Monday after he was shot in a Laval parking lot, prompting a provincial police investigation.